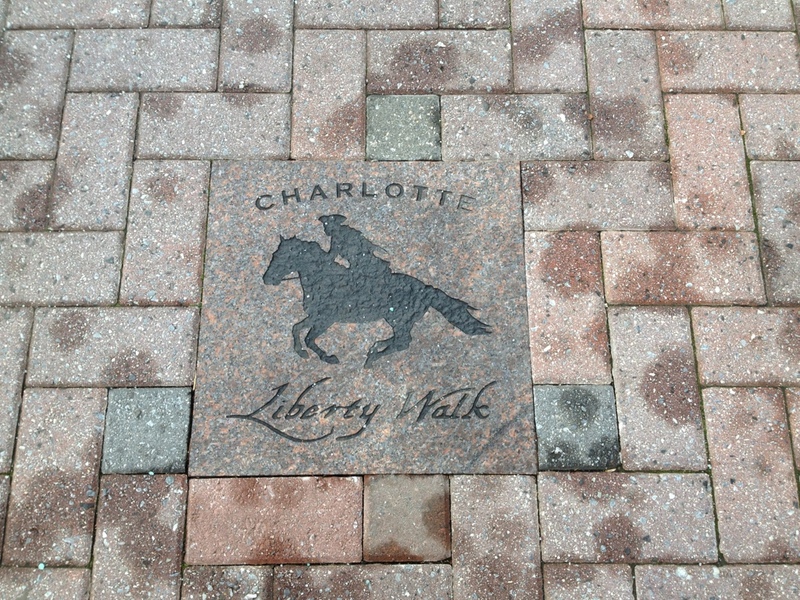 Charlotte, NC is not a walking city. 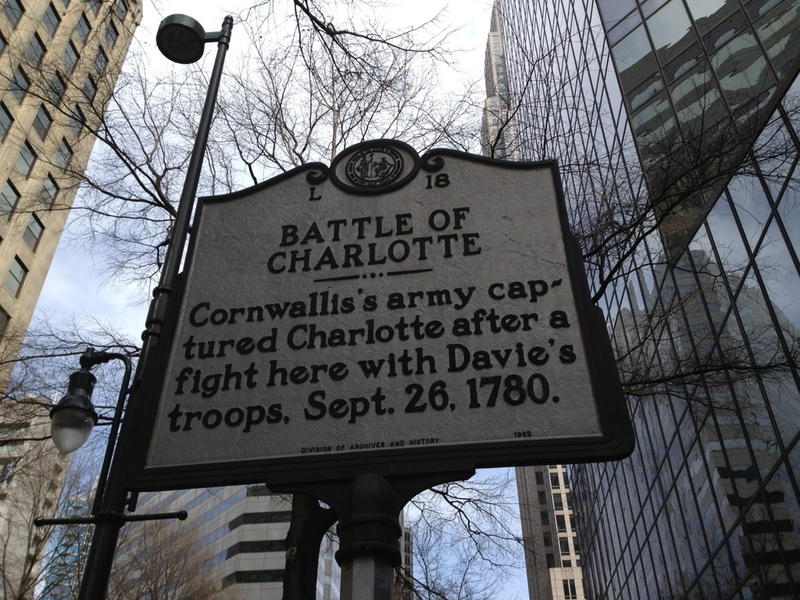 Its downtown, financial center – also known as Uptown Charlotte — is encircled by several highways, practically trapping would be walkers in its relatively small confines. That said, it is a clean, modern and delightfully creative city. 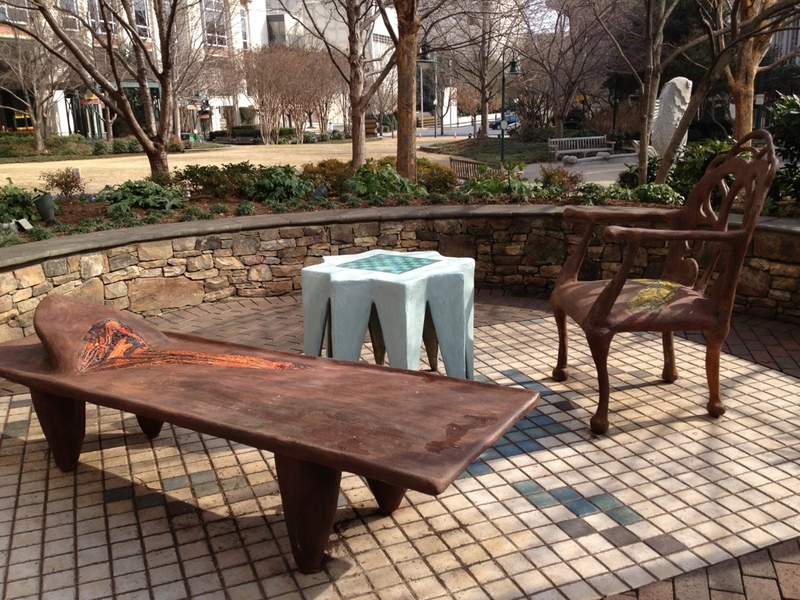 I was blown away by the attention to artistic detail — sculptures placed just so, benches that are not just a place to sit but also a piece of art, and historical reminders of the Charlotte that was. 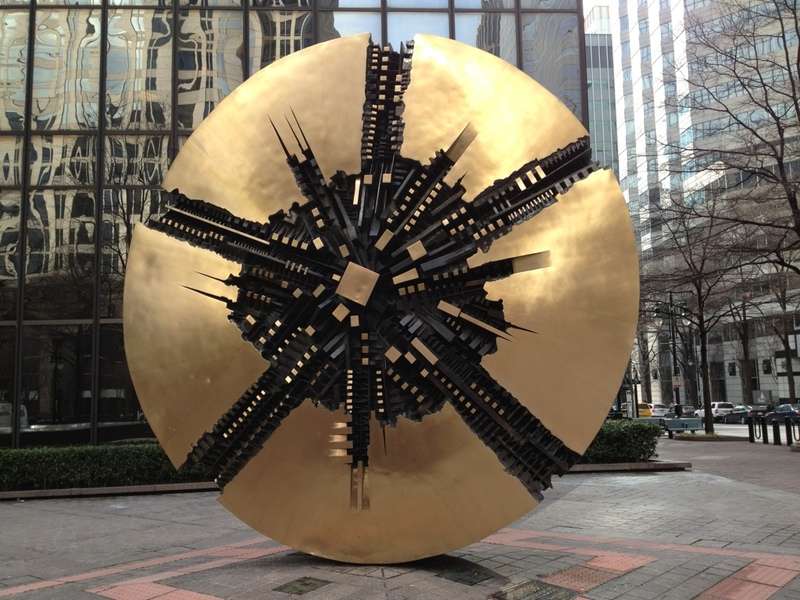 Conclusion: I wouldn’t make a special trip to Uptown Charlotte, but if you happen to be there, definitely walk around and enjoy the city. Note: I was too lazy to shlep the DSLR camera, so these are all iPhone photos. 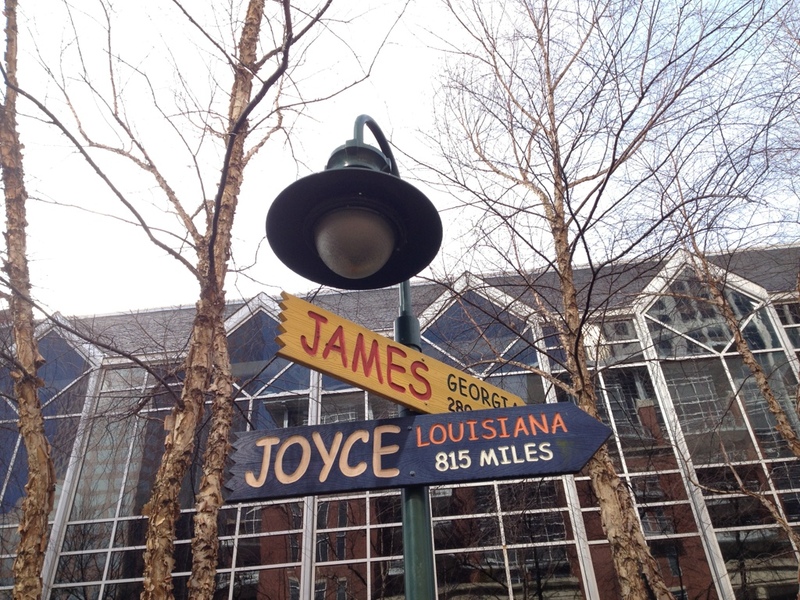 I love how the sign merges into its surroundings. 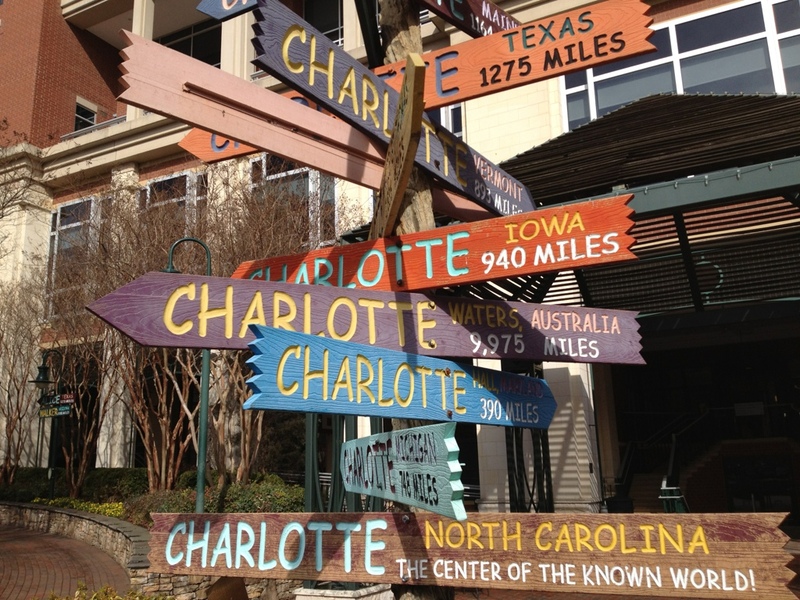 Did you know there are so many Charlottes in the world? I did not. Charlotte Liberty Walk. I have no idea what it is, but it seemed like something I should take a picture of. 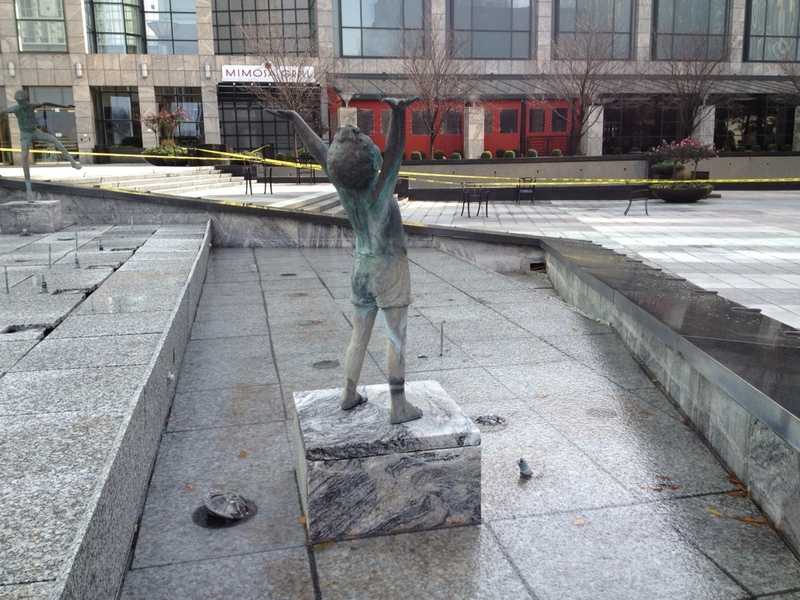 Sculptures of frolicking children are cleverly placed in this fountain (currently under construction). 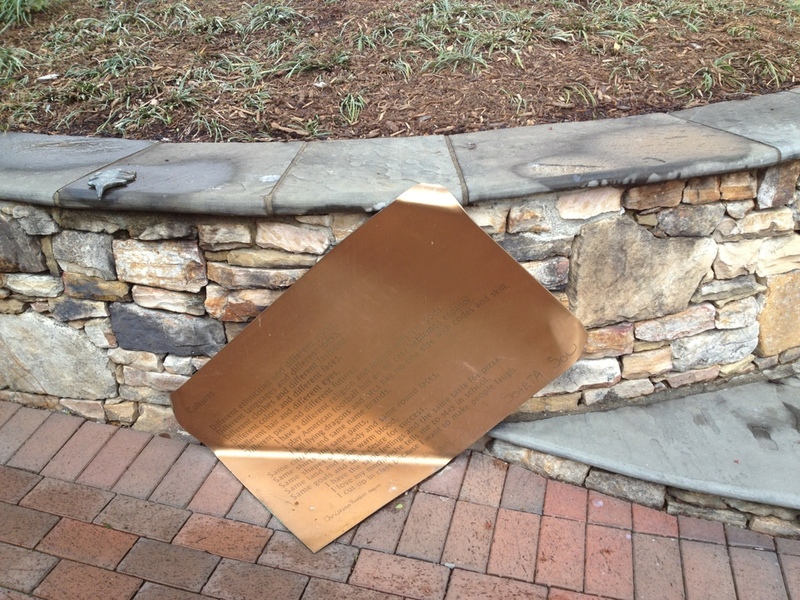 Apparently, something important happened here. Awesome or ugly? I vote for awesome. 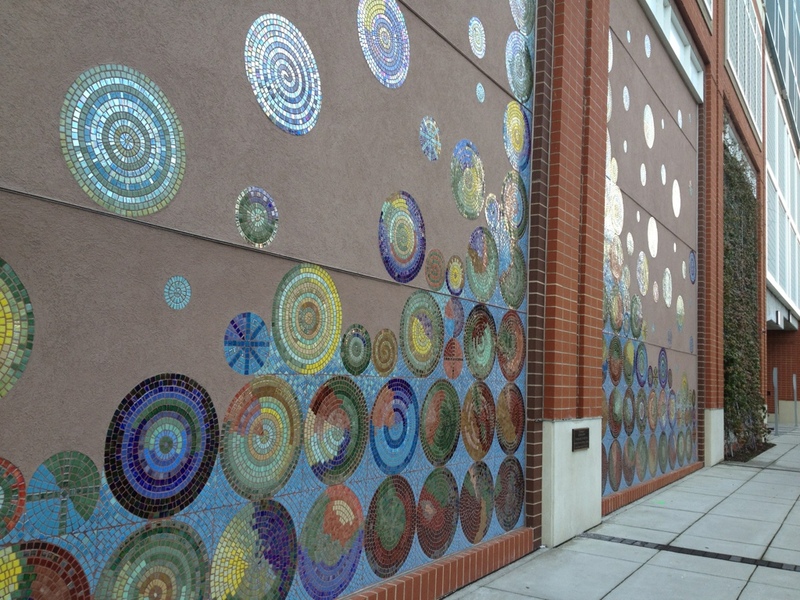 This mosaic of recycled glass is entitled “Effervescence.” I found it on a random wall in Charlotte. 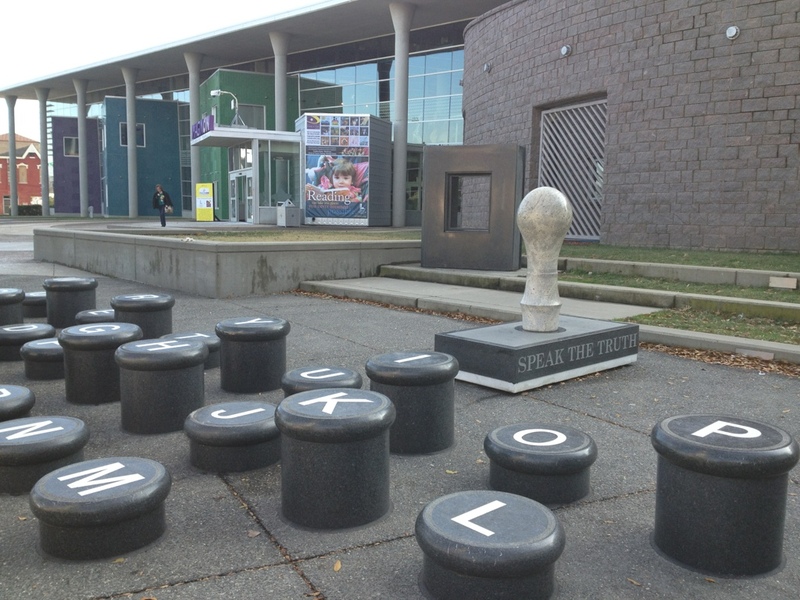 The children’s library did such a wonderful job designing its front yard, even I couldn’t resist jumping all over the letters. I have to wonder: How do they know that? 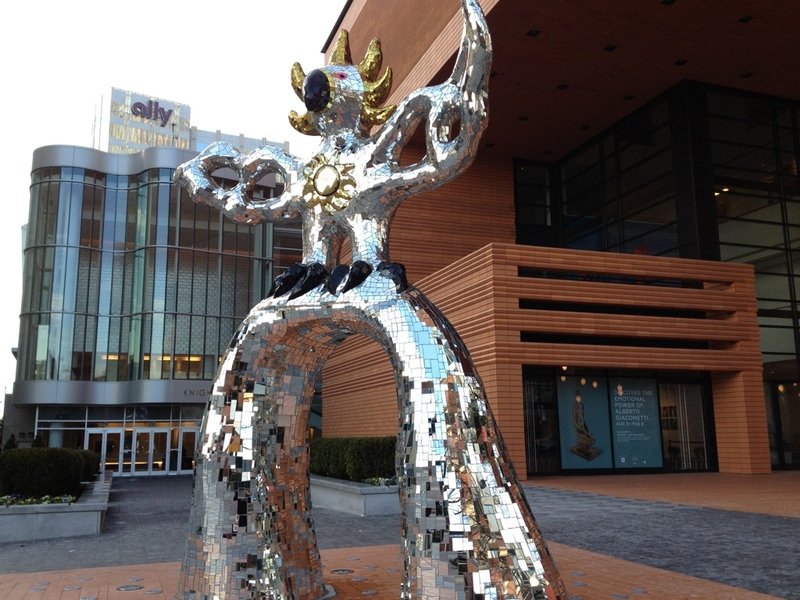 Awesome modern sculpture in front of the Museum of Modern Art. 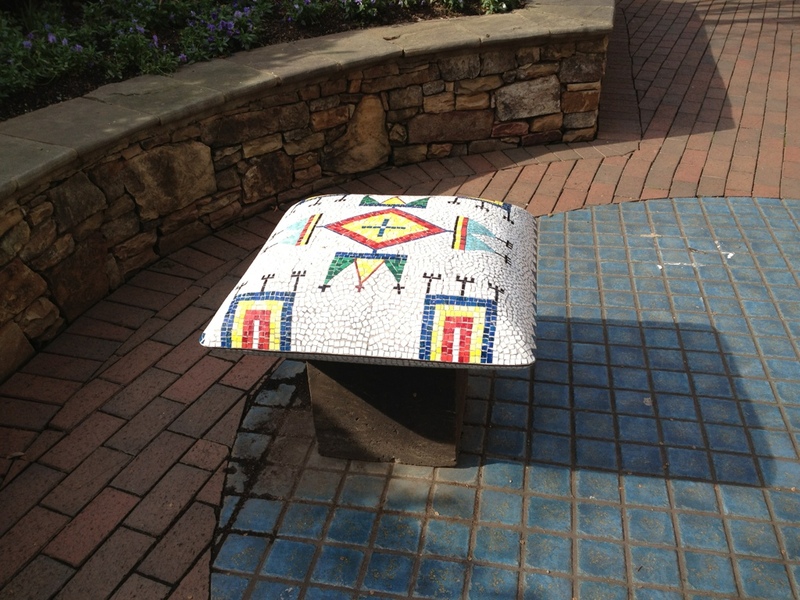 A mosaic bench. I like this. Who needs a boring park bench when you can have cool retro furniture? 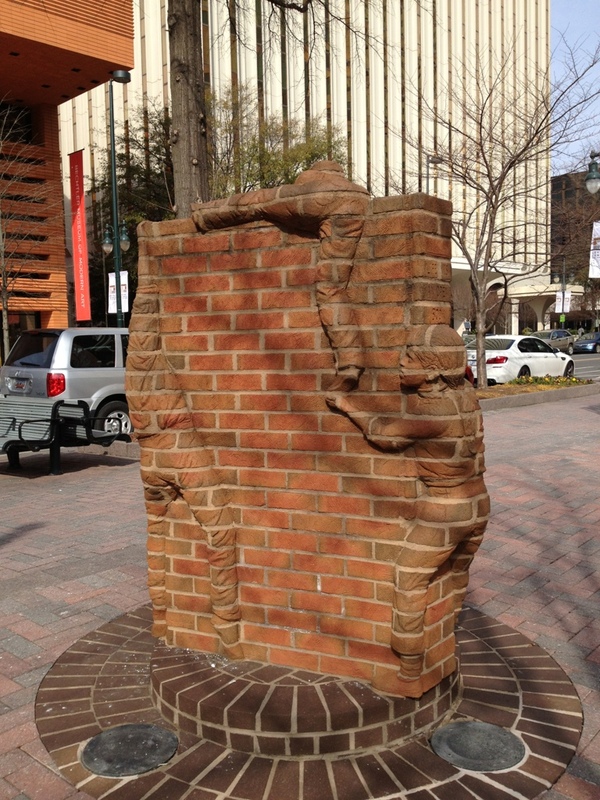 Brick children clamoring over a life-size book. 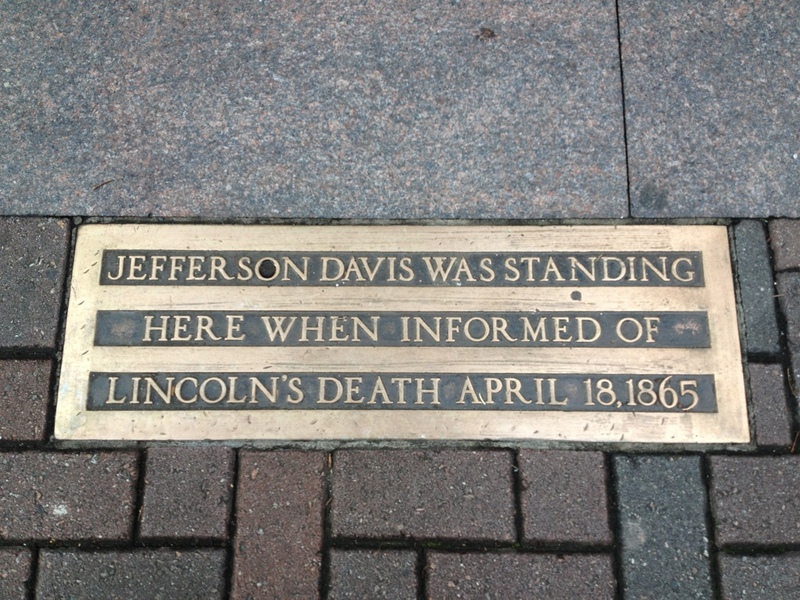 Mind…blown.